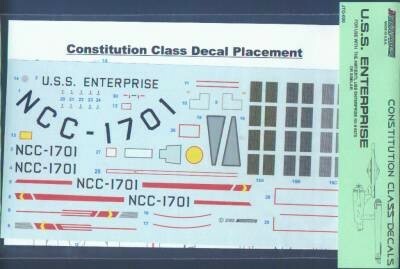 Replacement decals for the original 18" classic starship kit from AMT/Ertl. Features accurate lettering, with all the missing markings. Comes with a detailed instruction sheet.